Once again we found ourselves in balmy southern California for Thanksgiving. We left for LA very early in the morning, driving through thick fog. 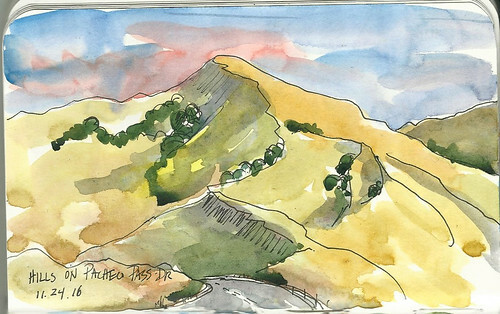 It soon gave way to the green and gold hills of Pacheco Pass. I put away my sketchbook and settled in to listen to Mindy Kaling's audiobook. It made the monotony of the I-5 somewhat tolerable. 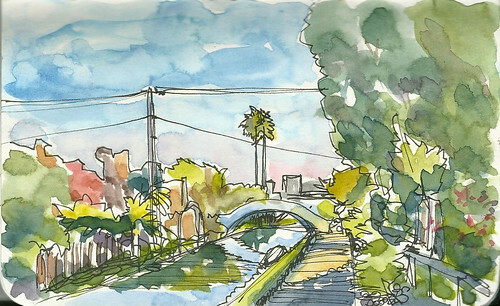 After a quick stop in Van Nuys to see M.'s cousin, we headed to Venice where we wandered along the canals and stole glimpses of fancy turkey day feasts taking shape in the waterfront homes. 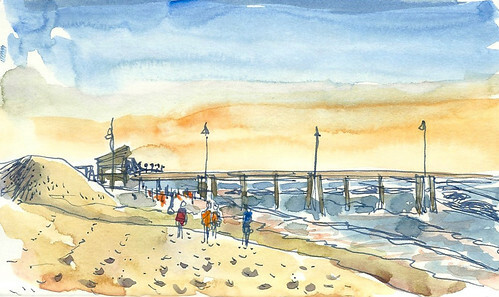 Then we made our way to the beach, because what's Thanksgiving in LA without sandy toes and a balmy breeze? Dinner was Korean BBQ at Genwa with an old friend, followed by drinks at the Culver Hotel. The next morning, we headed to Wi Spa for a soak and sauna before heading to downtown LA to meet USk friends Virginia Heim and Shiho Nakaza. 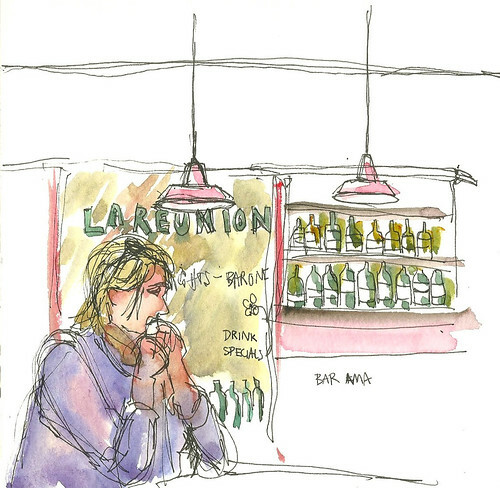 We wandered around The Last Bookstore while we waited for them, and then had lunch at Bar Ama. 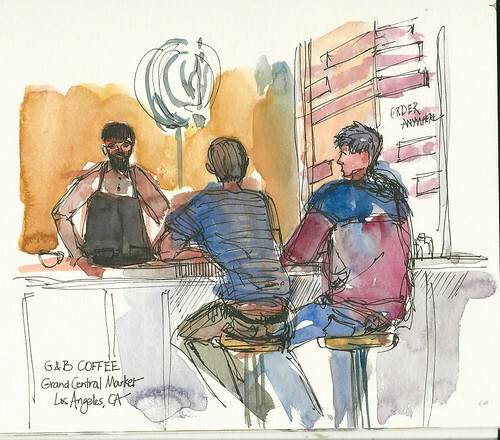 After lunch, Shiho and I sketched at Grand Central Market's G&B Coffee before we hit the road to Joshua Tree.